Mary Louise Starkey For over a quarter century, Mrs. Mary Louise Starkey, the First Lady of Service, has dedicated herself to “Setting the Standard” in Private Service excellence through unique, intensive education programs and training. Originally operating a consulting firm for employers of Nannies and Housekeepers in the 1980s, Mrs. Starkey saw a rising need for a new level of household professional: the Household Manager. However, the question became where to find the dedicated professionals to fulfill this new need. The answer was the creation of a first-of-its-kind Starkey International Institute for Household Management. Guided by her vision of transforming the paradigm of “servitude” into “Service as an Expertise,” Mrs. Starkey has written textbooks, customized curriculum and patented a Service Delivery System Model especially for the private service profession. Through her diligent efforts, the career path of “Household Management” is now an official career recognized by the Department of Labor. 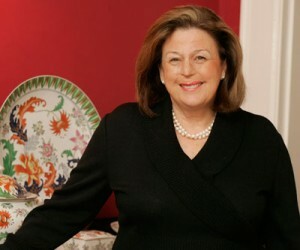 Mrs. Starkey’s worldwide search for “service as an art form” has given her a unique perspective of the Luxury Market. From traveling across Europe and the United States to conduct Site Visits and Private Trainings for the Luxury Market, Mrs. Starkey has been privileged to support the behind-the-scenes lifestyles of the wealthiest in the world. While she never breaks confidentiality, her stories bring to life what Service as an Expertise can come to mean — and how rewarding it is to both the Principal and the Private Service Professional. Mrs. Starkey is the Founder and President of Starkey International Institute for Household Management based in Denver, Colorado. Guidelines for Serving the High Net Worth! An avid writer, Mrs. Starkey has penned several service related textbooks and guides, including Mrs. Starkey’s Original Guide to Private Service Management, Setting Household Standards for Employers, and Mrs. Starkey’s Nanny Manager. In 1998, Starkey introduced her custom software, the Starkey Service Management Software, based on her patented Service Delivery System.